I’ve been waiting for some new creams to be added to the current Picture Polish creams. Those of you who are familiar with my blog have seen many of my nail art featuring Picture Polish shades. It’s not only because they have such a huge range of colors and textures, but also because the formula is in general incredibly smooth and consistent. Well, the Urban Shades collection brought forth a set of incredibly bright shades that convey a sense of new life, fun and hopefulness – all the things that I associate the spring/summer seasons with! I’m also happy (and not at all surprised) to report that the this collection has just as great and flawless application! These vibrant beauties share a similar smooth and milky texture, which I know is just perfect for nail art. And all 4 colors reached opacity in 2 coats, the only except was Bonkers, which only needed 1 coat! Chillax is by far my favorite of the collection. It’s a vivid blue leaning green and under certain lighting, it almost has a neon look. I love the name and I love the fresh, bold and lively green color! I’ve been wearing it during my final exam preparations to keep my spirits up and remind myself to take breaks! Such a sweet blue! I tried my best to capture the polish as color accurate as possible, however, in real life, I think this shade has a bit more dustiness to it, yet still remaining bright. Mmm, it’s a true chameleon—waiting to meet you and dazzle you! Totes is a really interesting shade. It’s only the second yellow after Mellow Yellow from the Picture Polish family. And there’s nothing mellow to this one! It’s not orange and it’s not peach, yet it has a bit of both qualities. What I like about it is that glowy vibrancy, like the sun at dawn when you’re just rising to prepare for your day at work. I feel such a sense of life and positivity. 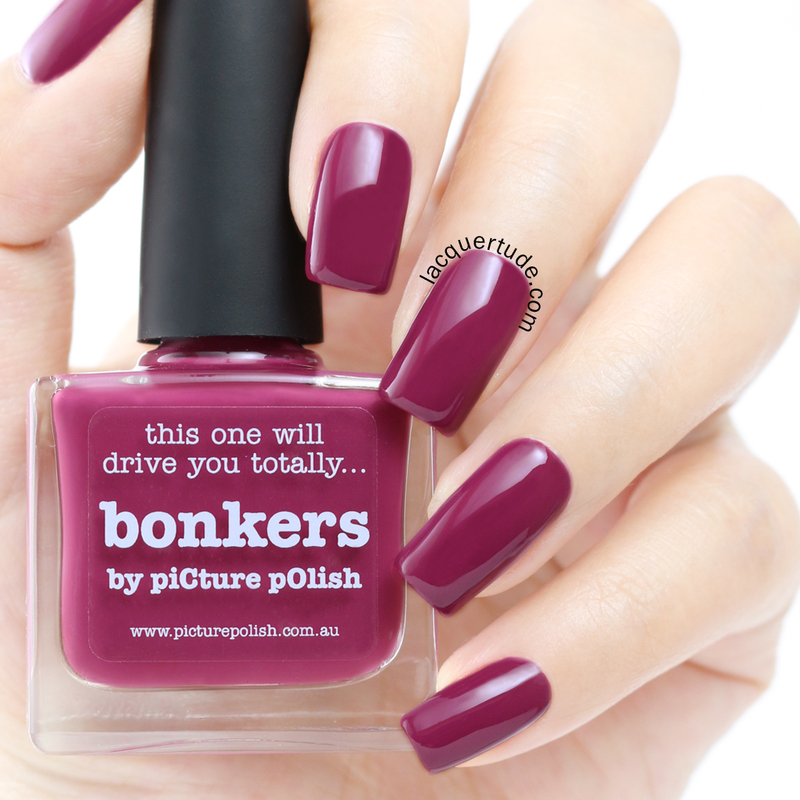 Bonkers is perhaps the most earthy shade of the collection. However, don’t underestimate it as it exudes just as much radiant beauty as the rest of them! And when you’re on the run, you can count on this 1 coat formula to get you out the door in a matter of minutes. That to me is a real bonus when the urban life is characterized by the quick pace of life. It’s a burgundy-purple that can be really versatile in pairing with outfits. And might I add that it’ll match quite well with Pantone’s Radiant Orchid, the color of the year 2014! I was really satisfied with the new Urban Shades collection. I feel like I can always count on great formula and unique colors from Picture Polish, and these did not disappoint one bit! As I said earlier, Chillax is my favorite, followed closely by Swagger. I also feel Totes and Bonkers will make great additions for future nail art. Which color is your favorite? And what’s your go-to spring shade? Again, the Urban Shades collection will be released along with the Rocky Horror Polish Collection and the new glow in the dark collaboration shade “Instinct” on the Picture Polish website on Monday 14th April at 9:00am Brisbane, Australia time. For most of us on this side of the world, it’ll be sometime on Sundy, April 13th, so be sure to check your time zone conversion! 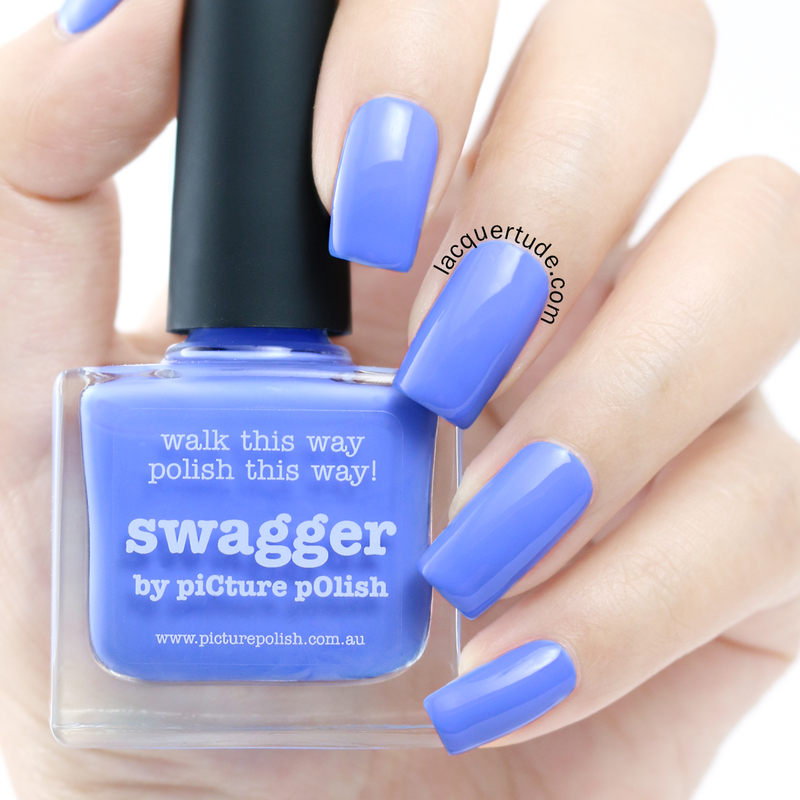 International ladies should check out the Picture Polish Network stockists for their launch time/date. 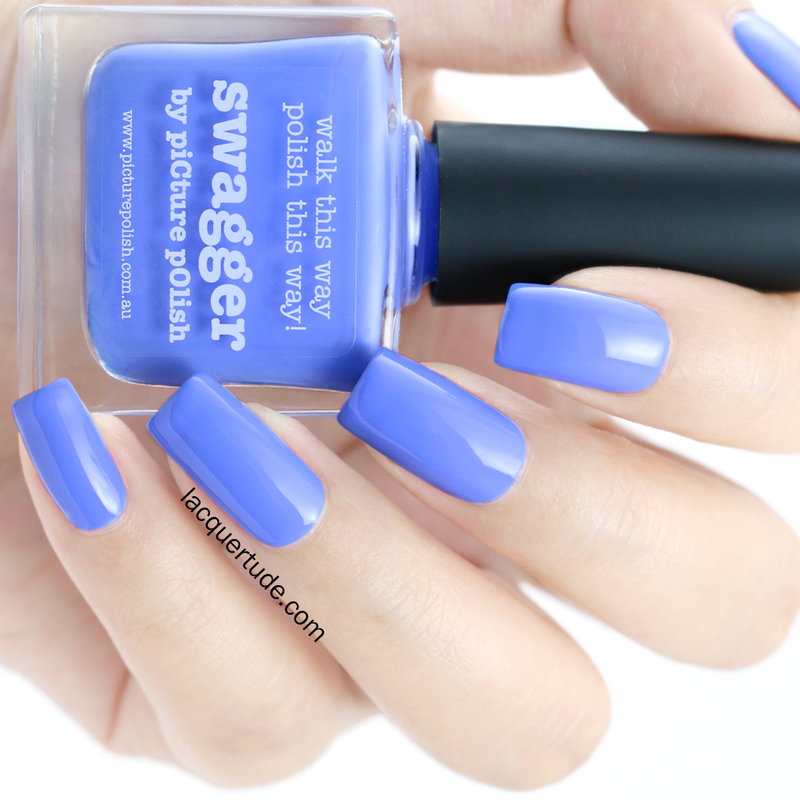 Previous postPicture Polish Instinct Swatch & Review! Next postPRESS RELEASE: Delush Polish Spring Awakening Collection! I totally agree, Chillax is my favorite too even if I love the other ones too!! Amazing swatches! First – good luck with your exam. I know it seems forever before the whole school thing will be over, but, one day, you will be able to look back on it as a done thing. The polishes are all gorgeous – my favorite, and the one I am most interested in, is Totes. I’m wishing I had not spent so very much money on some questionable polishes so far this year – I would love to take advantage of that Every Day Deal! I would like to get all of the Rocky Horror collection, along with this one. lol, I might yet! Dear Kate, beautiful swatches, as usual ! Just a quick word to say good luck with your final exam !!!!!! !